Earlier in the summer, Honda had to recall certain CRF250R dirt bikes because of a clutch issue which could cause the engine to lock. In fact, at the time, dealers had received the recommendation not to sell any CRF250R until the issue was fixed. Looks like Honda is having a string of issues with its motocross line up, and this time, the CRF250L is concerned and the problem is electrical in nature. In fact, on a number of 2018 models, Honda realized that the wiring harness hadn’t been installed properly. This could potentially damage the wiring connected to such essential features as exterior lights, horn, and instrument panel. This represents a safety hazard as the lights are essential to manifesting your intention with the flashers and light the way at night. The absence of a horn is also problematic—we’ve all had to squeeze the horn at a distracted driver merging on us. Finally, a malfunctioning instrument display may sound the least of the concerns, however, we realize quickly how precious all the information displayed is. Beyond the safety aspect of the wiring harness failure, the absence of proper lighting on the bike also makes it illegal on the road as it doesn’t comply with the Federal Motor Vehicle Safety Standard’s regulations regarding “Lamps, Reflective Devices, and Associated Equipment” as well as “Motorcycle Control Display”. Owners of one of the 505 units affected will be contacted by Honda and dealer will provide a replacement wiring harness for free. Honda recall number JK7 begins on November 5, 2018. 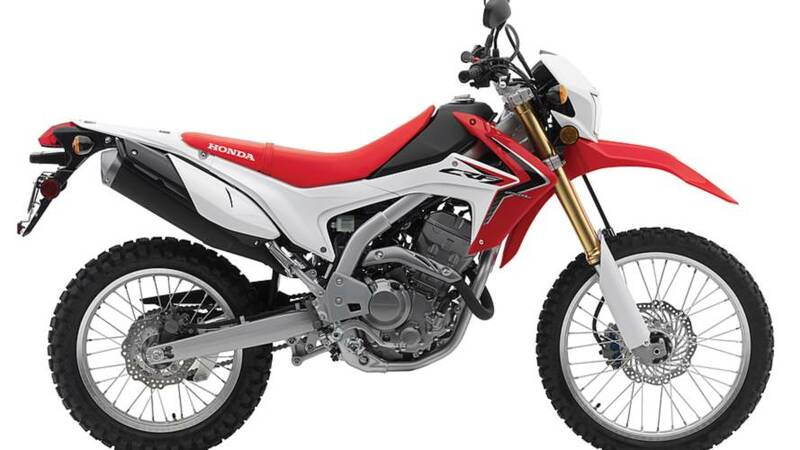 Concerned owners of 2018 CRF250L can call Honda’s customer service at 1-866-784-1870. The NHTSA also offers a hotline to provide further information at 1-888-327-4236 using campaign number 18V630000. It is also possible to go online at safercar.gov and research with the VIN number.